I cannot believe it is September already. The end of summer means starting of the harvest season, and I have been keeping busy at the Frogtown Farm harvesting vegetables and preparing samples for the market on Saturdays. I’ll be booking my tickets for spring tours soon as IACE travel is having their fall Mega Sale on Saturday Sep. 29th from 9-4 pm only. Give them a call as I have purchased many affordable tickets to Japan from IACE. This is a 7 day tour from Tokyo to Matsumoto with an additional extension to Kyoto. Matsumoto is a hotbed of arts, is also the birthplace of several well known Japanese artists including Yayoi Kusama. It’s also home to one of Japan’s finest feudal era castles.. Read more about Matsumoto and this tour on our blog. I’ve been fortunate to lead several Culinary Tours this year, and have received some kind words from travelers. Thank you! We start in Ginza, Tokyo with a fish market tour and sushi class and make our way to Nagano for a temple stay and introduction to vegetarian cooking. After a morning visit to the Zensoji Temple, we tour a wasabi farm in near the Japan Alps, and stay at a traditional hot spring Ryokan for a kaiseki style dinner. The next day we learn how to make hand-made soba noodles and tour the scenic Suntory Hakushi distillery. The last night we stay at Shuji Tanka’s historic inn and community garden in the quaint mountain town of Yamanshi. 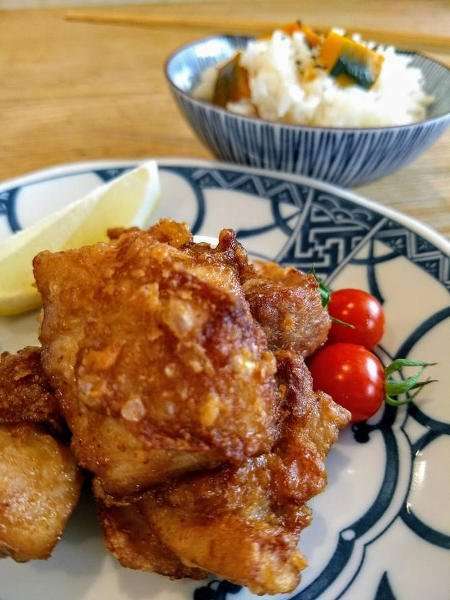 Fried chicken known as Kara-age is a popular dish in Japan. Deep fried but not greasy because the word Kara comes from a word empty, meaning there is no batter, just a simple combination of garlic, ginger, soy, sake, sesame oil and cornstarch. I hope this newsletter finds everyone well. TanpopoStudio slowed down a bit as we all enjoy summer activities outside. Our family had a wonderful time picking gooseberries and making jam to preserve for the winter ( personally, they are so delicious they will not last until the winter….). We have been visiting the countryside, kayaking and canoeing at more than ten thousand beautiful lakes we have here in Minnesota. Starting next month, I’m going to be helping out at the Frogtown Farm, a certified organic city farm in St. Paul providing educational setting for kids and adults alike. I will be making samples using seasonal and local vegetables with touch of “Japan” as well as be a part of farm events. We will have more on this, so stay tuned. Speaking of farms, we are starting a new series on introducing some small farmers and business owner’s who we meet on our tours to Japan. We asked people five questions to share their values and opinions. This month, we are featuring the owner of Izumi En, a community garden and inn in Yamanashi prefecture. Summer is a time of abundance and we have a delicious recipe using cabbage this month. 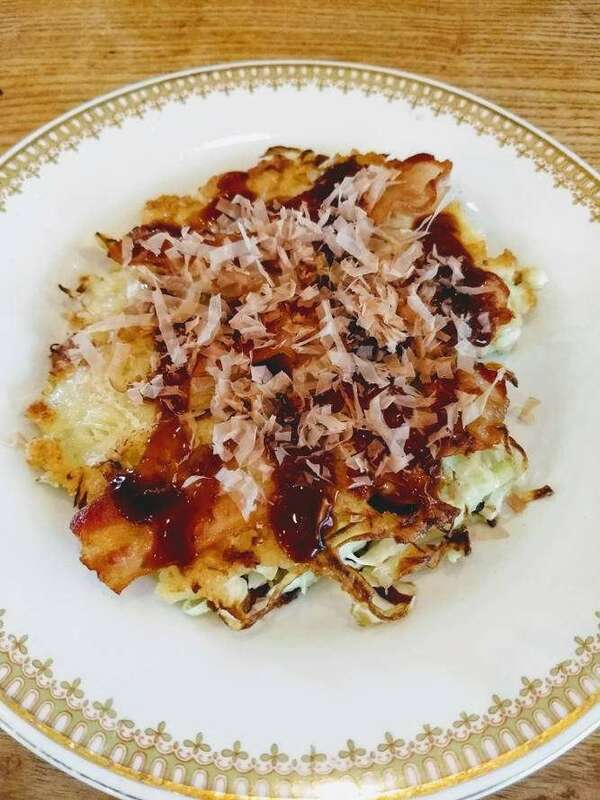 Okonomiyaki is not only yummy but healthy and easy to make. We’ve just opened this for registration. This is a 7 day tour from Tokyo to Matsumoto with an additional extension to Kyoto. Matsumoto, a hotbed of arts, is also the birthplace of several well known Japanese artists including Yayoi Kusama. It’s also home to one of Japan’s finest feudal era castles.. Read more about Matsumoto and this tour on our blog. Thursday, September 20th at 6 pm at Cooks of Crocus Hill, Saint Paul. Getting ready for chilly Minnesota winter by learning how to make your own Ramen and Dumplings with us. More classes to come at Seward Coop in September. Stay tuned!. Thursday, August 23 at Quixotic Coffee Shop. Free event and everyone is welcome but seats are limited. Please R.S.V.P to koshiki@tanpopostudio.com to reserve your seats. I have been back in the US for about two weeks now after finishing another round of our Culinary Tour of Japan. Weather was perfect with lush of greens and signs of summer everywhere. Food was delicious as always and we enjoyed freshly fried tempura, seasonal seafood, lots of Japanese sweets and local sake and wines. We also took time to explore a depachika or the basement of a department store as this is a much different experience in Japan. These areas are packed with food vendors of all kinds selling delicious things such as desserts, fresh vegetables, pickles, seafood, tea, ice cream and lots more. My brother Kai joined us in Nagano and Yamanashi and gave us an insider scoop on life in rural Japan as he lives in Yamanashi prefecture. 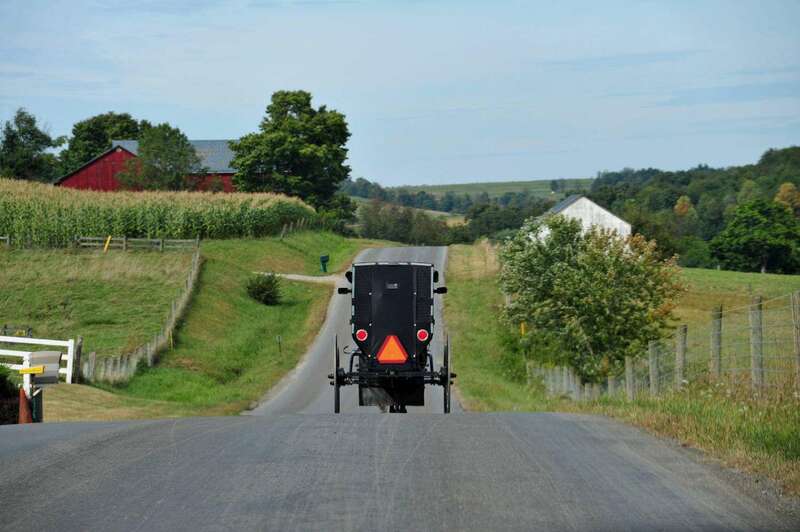 It’s a scenic area with wineries, ski areas, wasabi farms, mountains, and a thriving arts and crafts community. On the last trip, I was too tired to check out public hot spring in Suwa, but this time after dinner I walked to the nearby hot spring to “wash off my tiredness” (this is a Japanese phrase, tsukare wo arai nagasu). The town of ShimoSuwa (Suwa consists of ShimoSuwa and KamiSuwa) itself has over 10 public hot springs and 5 foot springs (not counting private hot springs ), and heavily used by locals. On my visit, I purchased a ticket, which was about two dollars for an adult, I took my shoes off and put them in a cubby. Then I handed a ticket to a clerk and entered women’s changing room. At 7 o’clock in the evening this place was packed (at least on women’s side) with families with kids, high school girls, grandmas and others, like me. We have a post about hot spring etiquette on our website, to help you prepare for a visit. 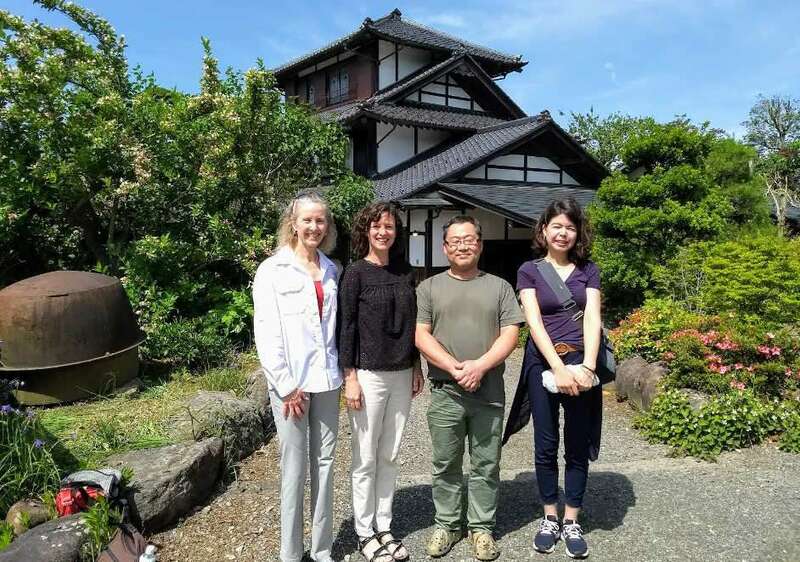 In June, I had a wonderful opportunity to spend one-on-one time with people who share same passion as TanpopoStudio has, to help preserve Japanese local food and culture by providing hands on experience to people from Japan and other countries alike. In the August Newsletter, I will introduce some of the creative and talented people we are working with in Japan who have helped make TanpopoStudio happen, so stay tuned. Here is what’s happening at TanpopoStudio. Don’t forget to join us for delicious and informative Japanese food and sake pairing at Cooks of Crocus Hill. We will be sampling sake from Shizuoka and Hyogo prefecture. Kanpai! I’m just about to start the June, Culinary Guide to Japan tour, and very excited about the trip. While I have a few moments, I wanted to share with you some of the good things happening at TanpopoStudio. We have a new video! from the Spring Culinary Guide to Japan tour. This short film showcases the trip and what it’s all about. A big thanks to Jakfoto Films for making this possible! October marks the beginning of the harvest season and this is a great time to visit Japan. Enjoy a fall walk in the Kiso Valley, relax in a hot spring and savor a regional Kaiseki dinner. If you are interested in joining us, you can register online or send me an email. Hope to see you in Japan. If you’d like to learn more about the upcoming Art and Culture Tour this spring, please join us at Wet Paint Art at the end of month for another meetup (with tea and crackers). We’ll be posting the exact date as soon as possible. If you’re interested in attending, let me know and I will update you. We’ve received some great feedback during our last meeting, and a few spaces have already been reserved. So if you’re interested, don’t miss your chance to see Tokyo, Nagano and Matsumoto. We’ve also added a 3 day optional extension to Kyoto on this tour for those of you who would like to stay longer in Japan. Private groups of 6-8 are welcome. If you have a group of friends who want to learn ramen making in Japan, we can book this according to your schedule and you’ll receive a group discount as well. 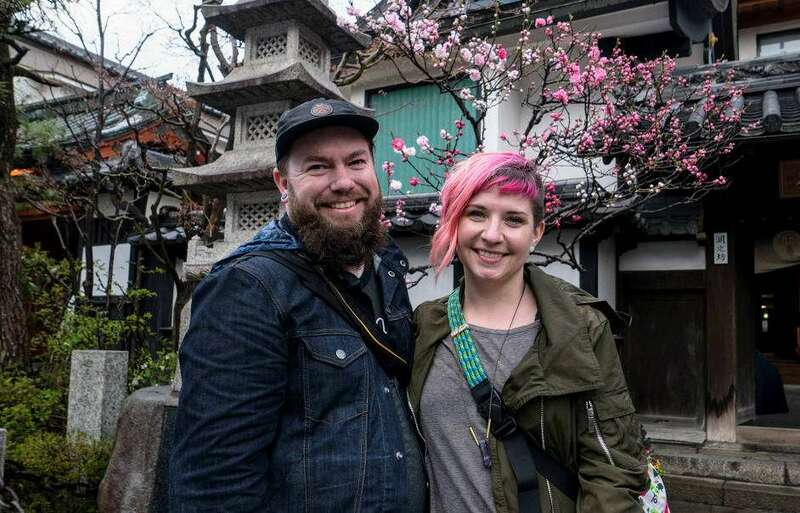 We’ll be announcing Spring tour dates for the Tokyo Ramen Crash Course in the coming weeks. Stay tuned. Despite being greeted by one of the worst Spring snowstorms in Minnesota upon our arrival, we and the whole group made it safely back from Japan on our tour this April. Warm Spring weather and stunning sakura blossoms accompanied us as we toured through Tokyo, Nagano and Yamanashi on our 6 day culinary tour of Japan. What a sweet success!! Although it was too early for Spring vegetables, we enjoyed pickled sakura flower tea, tempura of Spring tree buds, young bamboo shoots, and of course fresh seafood at Tsukiji Fish Market. Did I forget to mention the Japanese wagyu? We found the sushi class and soba workshop to be very rewarding as it brought all of us closer together as a group. On the last night, at a 200-year-old farm house, we had a memorable 8-course meal in their traditional dining room where we all felt like family (including the inn owner). Who knew unfiltered local white wine from Yamanashi can be so full of flavor, fresh and delicious. One of the goals of the tour was to learn about where our food comes from and how things are made. One of our travelers was surprised to see that the “Farm to Table” movement is such a big part of everyday eating scenes of Nagano and Yamanashi. Throughout the tour, we were able to experience how Japanese food is grown, harvested and prepared. We talked about the value of food and and people’s passion for preparing and serving food. We learned to bow, say some Japanese phrases, and show appreciation to the chef for the good food. We had such a wonderful group of people with willingness to explore new cultures and experiences. Thank you Angie, Lane, Carolyn, Avery, Kiera and Josh (also for Susan and Josh for joining us in Tsukiji) for wonderful time together in Japan. This fall, we are taking another group on our culinary inspired tour to Japan. It’s the beginning of harvest season and this is a remarkable time to travel as the temperature cools a bit and the style of food starts to change. 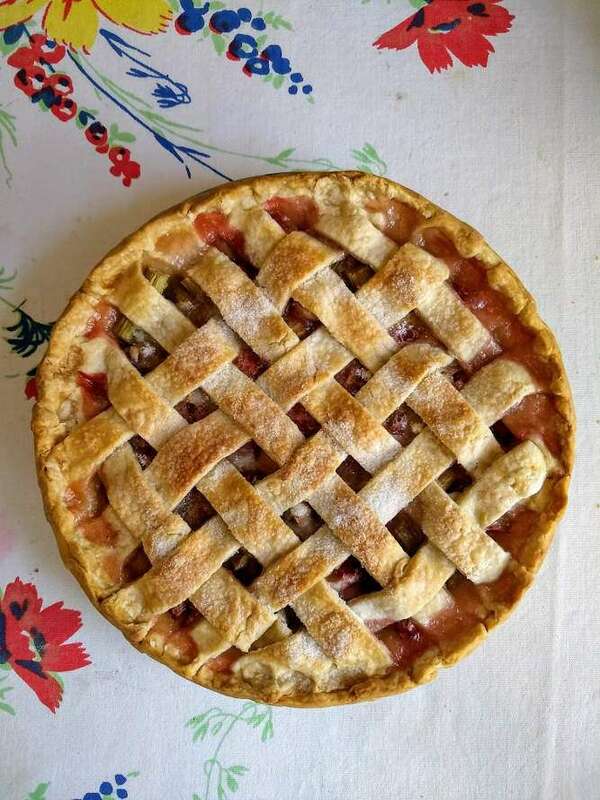 Join us for another small group, hands-on food tour this fall. Here is what is happening with TanpopoStudio this month. We have an Art Tour Exploratory Meet up with Wet Paint scheduled this month. We will talk about our collaboration with Wet Paint in St. Paul on a 2019 Art and Culture Tour to Japan. Join us to discuss the proposed 7 day Art and Culture Tour which will take place in the picturesque town of Matsumoto. If are interested, we would love to get your input on this exciting trip! This month’s meetup is scheduled for Monday May 21 from 7-8pm at Quixotic Coffee Shop in Highland Park, Saint Paul. If you missed us during Art Tour Exploratory Meet up with Wet Paint, here is a chance to catch up. The topic this month is ”Art and Culture in Japan”, and the planned 7 day Art and Culture Tour for Spring of 2019. Are you thinking about checking out art and cultural scenes of Japan along with some hands-on learning experiences with a great group of people? Come join us to learn what this new tour is all about. It is free, but space is limited. Please send us an email if you are interested in attending. October marks the beginning of harvest season and this is a great time to visit Japan. Enjoy a fall walk in Kiso Valley, relax in hot spring and savor a regional Kaiseki dinner. We have added more tours for 2019! I recently had a chance to visit the Minneapolis Institute of Art (Mia) for its Hard Bodies: Contemporary Japanese Lacquer Sculpture exhibits.You might be familiar with Japanese lacquerware. It’a a traditional craft where artisans coat kitchenware, decorative boxes, dressers and such to enhance wood’s durability as well as to showcase one’s artistic talent and craftsmanship. The artwork at Mia showcased 16 young artist who took the traditional lacquer craftsmanship to demonstrate how the old can be new, past can be present. At Tanpopo Studio, we put emphasis on preserving tradition and culture. Throughout our tours and workshops, we focus on where things come from and how things are made. 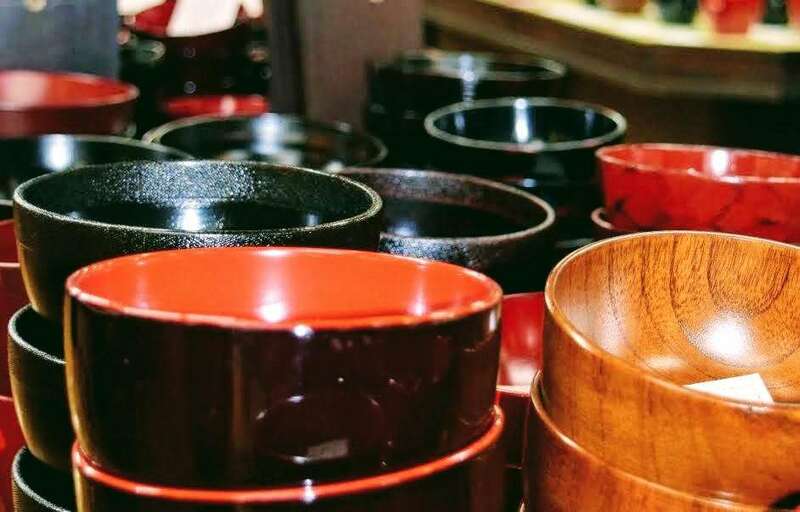 If you are not joining our spring or summer tour, please consider joining our culinary journey this October where we will spend a beautiful fall afternoon in Kiso – a historical preservation town known for Japanese Lacquerware. Help preserve this traditional craft by sharing your experiences with others. Here is what is happening with Tanpopo Studio this month. This month’s meetup is scheduled for April 30th from 7-8pm at Quixotic Coffee Shop in Highland Park, Saint Paul. The topic this month is Japanese Whisky and our recent trip to Hakushu Distillery in Yamanashi Prefecture. All are welcome. Also, there also will be an Art Tour Exploratory Meet up with Wet Paint scheduled on May 11, from 6:30-7:30 pm. We’ll have more information on this exciting meet up in our May newsletter. Stay tuned! October marks the beginning of harvest season and this is a great time to visit Japan. Enjoy a fall walk in Kiso Valley, relax in hot spring and savor a regional Kaiseki dinner. We have added more tours for 2019.